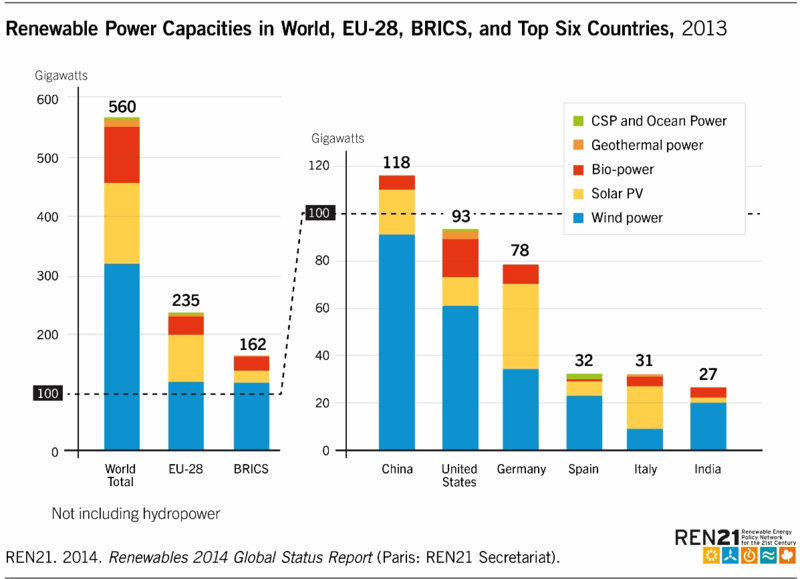 Over the past few years, Italy has made tremendous progress with renewables. In fact, despite all the differences, the similarities with Germany are striking, both in terms of progress and obstacles. Craig Morris spoke with Giuseppe Onufrio, head of Greenpeace Italy. Greenpeace’s headquarters in Rome are just a stone’s throw from the presidential palace, the Quirinal. Turn a corner, and the cobbled side road opens up into a quaint little court that the American in me found irresistibly Old-World. Onufrio and I walk to a local restaurant, and the policy stories become mixed in with personal history over red wine and orechiette, pasta shaped like “little ears” (homemade, of course). A physicist by training and for 15 years a researcher in the field of energy, Onufrio says he started off as an anti-nuclear activist in the 1970s. “The Italian movement was so strong because so many people who understood the technology expressed their doubts,” he explains. His uncle, who is also his godfather, happened to be the head of nuclear at ENEL, the big Italian utility, back then. “At one point, I was protesting outside, and he was inside,” Onufrio laughs today. In 1990, Italy shut down its last nuclear plant, and in 1987 a referendum in the wake of Chernobyl resolved that Italy would remain free of new nuclear plants – though not of nuclear power. Italy remains a major power importer (14%), also from largely nuclear France. Still, Italy’s decision seems shrewdly clever: we’ll buy some nuclear power (4-5% of its total supply), but you handle the problems. In 2011, another referendum was held, and again over 90% of voters rejected new nuclear, this time specifically then-Prime Minister Berlusconi’s memorandum of understanding with the French Government to build four third-generation EPR nuclear plants. To date, no EPR has been completed, though two are being built in Europe – both of them grossly over budget and behind schedule. Ordering four at a time would thus have been a great risk – one that even Onufrio’s godfather, now retired, questioned. “He said that gigantic EPR logic was wrong and thought it would be better to order two 800 MW plants than a single 1,600 MW unit. One can always fail,” Onufrio recalls. Today, Greenpeace Italy largely battles coal power in the energy sector now that the nuclear debate is over. Indeed, when Onufrio took the helm in 2009, the coal battle entered a hot phase; ENEL sued Greenpeace for 1.6 billion euros for blocking coal into a few plants. “In one case, they had to run the plant on oil for 17 hours.” The legal action had an effect. “We immediately calculated how much profits the firm nonetheless made during those hours,” Onufrio says. Then, in 2012 a court ruled that Greenpeace had based its action on charges of bodily harm caused by coal power pollution, and ENEL had not even attempted to refute Greenpeace’s hard data. The case was thrown out, “a victory for democratic rights,” Greenpeace wrote at the time. Put differently, solar made up 8.5% of power supply in the first three quarters of 2014, with wind bringing the total up to 13.3% (report in Italian). That’s less than Germany’s 17%, but still enough to reduce demand for conventional power plants. In contrast, some 8 GW is slated for decommissioning in Germany, but there are rumors that the government wants an additional 5 GW of coal capacity shut down. Onufrio’s outlook is thus not surprising: “Renewables are winning.” Seems so, but is that victory making the family feud worse? “There was never a feud! But my godfather’s a big fan of solar now,” Onufrio says with pride. Previous PostRenewable energy development: Can China follow Germany?